Unfortunately past their best - last week would have been ideal. 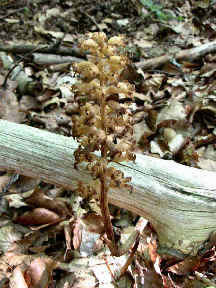 These orchids grow in shady beech wood on limestone but also in coniferous woods in calciferous soil. 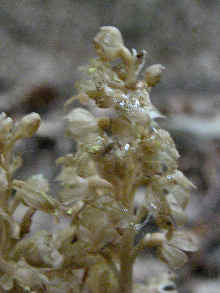 They do not produce any chlorophyl and live in symbiosis with their surroundings. 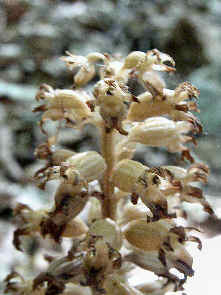 The plants are leafless, brown or yellow-brown in colour. 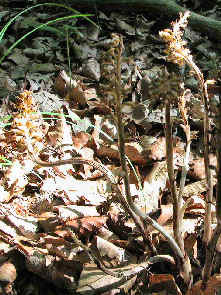 The flowers here are past their best and are turning brown at the edges. In 2009 the flowering season was almost a month earlier than in 2008.